STILL HIPS : The Mother Hips return to Downtown Brew on Oct. 1, playing new music from Pacific Dust, their seventh album hitting streets Oct. 27. Be among the first to hear their new material! 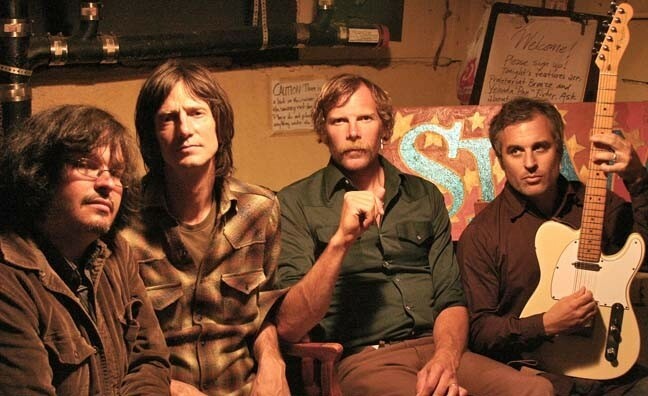 At times delivering groovy, breezy Americana folk and at others drifting into psychedelic power pop, The Mother Hips have demonstrated time and time again that they’re the evolutionary musical descendents of the likes of Gram Parsons and The Band—but without ever sounding antiquated. 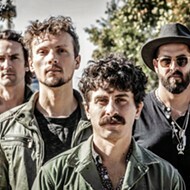 They’ve been in the studio toiling away on Pacific Dust, their seventh album due to hit the streets Oct. 27, so when they play this Thursday, Oct. 1, at Downtown Brew (7:30 p.m.; 21 and older; $15 presale or $17 at the door), they’ll be drawing from plenty of new material such as “White Falcon Fuzz,” the album opener that’s available as a free download at spinner.com/2009/09/15/mother-hips-white-falcon-fuzz-free-mp3-download/. Truth About Seafood will open the show. The Mother Hips aren’t the only trick Downtown Brew has up its sleeve this week. On Friday, Oct. 2, hip-hop fans will get a dose of old skool rap when E 40 and DJ Quik hit the stage (7 p.m.; 18 and older; $35). Remember, E 40 is the silver-tongued slangster that helped put rhymes into the mouths of playas like Jay-Z and Snoop Dogg. 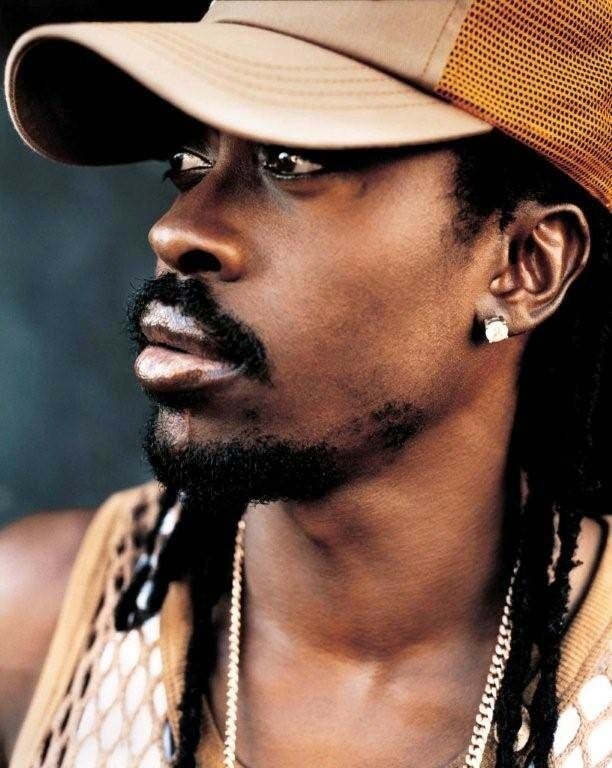 HE’S THE MAN : Beenie Man, who got his start at the tender age of 10, plays Downtown Brew on Oct. 4. On Sunday, Oct. 4, reggae fans are going to want to check out “The Legends Return”—with Beenie Man and special guest Red Flame Sound (7:30 p.m.; all ages; $18 presale or $20 at the door). Native Jamaican Beenie Man was the youngest artist to enter the dancehall scene in the ‘80s. Just 10 years old, Man, born Moses David, was rocking the microphone like a veteran. DJ Katchafiya opens the show. 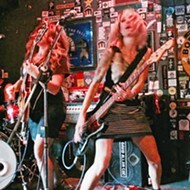 On Tuesday, Oct. 6, the Threes and Nines return with opening acts Church and Radamacher (7:30 p.m.; all ages; $7). If you like the cleverly humorous lyrics of bands like The Psychedelic Furs and King Missile, you’ll dig this show. Rock on come Wednesday, Oct. 7, during the Rhodes reunion show (7:30 p.m.; all ages; $6 presale or $8 at the door). The Red Skunk Band opens. 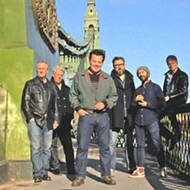 Finally, mark your calendar for next Thursday, Oct. 8, when the Young Dubliners return to town with an evening of Celtic rock (7:30 p.m.; 21 and older; $15). The Janks open. Okay, one more thing! You think you’ve got what it takes be named the best DJ on the Central Coast? Here’s your chance to prove it. Beginning next Thursday, Oct. 8, and continuing through Thursday, Nov. 19, Downtown Brew, in association with Wild 106.3, 3 Olives, Stoli, Grey Goose, Bacardi, and Jack Daniels, will be hosting “The Central Coast DJ Competition.” Hurry to sign up, because your application is due by this Friday, Oct. 2. Email your info (full name, stage name, and 10 minute MP3 formatted mix) to djcomp@downtownbrew.com. The winner will receive $2,500 and a DTB DJ residency. Voting will be determined 50 percent by in-house judges and 50 percent by attendance voting. The more support you have, the better chance you have to win. GET READY TO SWING : Attend the Morro Bay Harbor Festival Oct. 3 and 4 and see 30 entertainers, including The Viper Six (pictured). 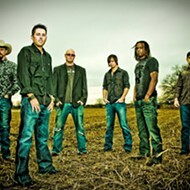 Visit mbhf.com for a complete listing of entertainment. 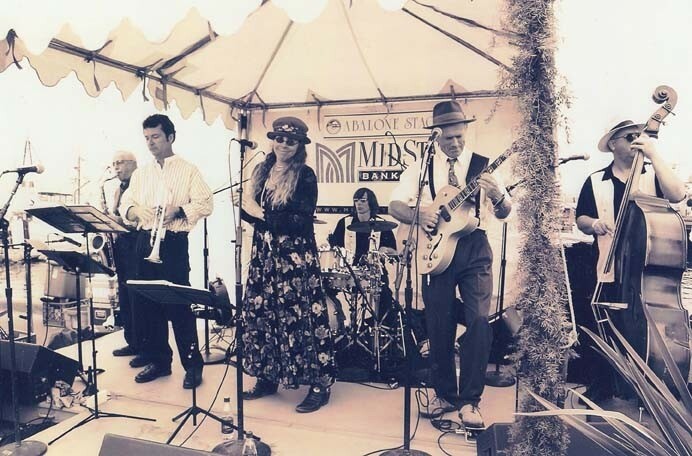 Morro Bay’s Harbor Fest happens this Saturday and Sunday, Oct. 3 and 4, and it promises to be two amazing days of great entertainment, delicious beer and wine tasting, and tons of vendors and activities, all set against the rustic backdrop that is Morro Bay. Tickets are just $8 a day for the 10 a.m. to 6 p.m. event, or pay just $10 for both days. Kids under 12 are free. What do you get? Well, there’s three entertainment stages, 30 performers (bands, dancers, and more), competitions like the “Down the Hatch” Oyster Eating Contest and Hawaiian shirt contest, a rare tour of the power plant, discounted harbor tours, a tour of the tall ship, Amazing Grace, and a whole lot more. A few of the bands include Canned Heat, Still Time, Project 41, The Viper Six, Red Skunk Jipzee Band, the Mighty Croon Dogs, Cuesta Ridge, Rough House, Café Musique, and the Zongo! All Stars. For a complete list of entertainers, times, and locations, visit mbhf.com. THE QUEEN OF COUNTRY : Emmylou Harris and her Red Dirt Boys at the Clark Center on Oct. 7. It’s essentially impossible to do justice to Emmylou Harris’s career in a few short paragraphs. Her life reads like the country songs she sings—an army brat whose father became a prisoner of war, a collaboration with Gram Parsons that ended abruptly with his death from drugs and alcohol, guest work with nearly every great performer in country music, huge commercial success, activism for everything from feminist causes to veteran advocacy to PETA, and a continuing love of rescuing great songs forgotten in obscurity. On her newest CD, All I Intended To Be, a phrase taken from a Billy Joe Shaver song, she does just that, delivering an album that proves her to be an “interpreter, an eloquent composer herself, an inveterate musical explorer who’s been able to discover, rescue, and/or give new life to many a beautiful but overlooked country, bluegrass, or folk tune,” according to her most recent press bio. See Emmylou Harris and her Red Dirt Boys at the Clark Center on Wednesday, Oct. 7, at 8 p.m. Call 489-9444 for tickets. Buddy Miller opens the 8 p.m. show. More Bandecky for your buck! The Bandecky Bash Music Festival is coming up at Lake San Antonio, delivering three days and two nights of camping and music for only $50 for the whole she-bang! Starting next Friday, Oct. 9, and running through Sunday, Oct. 11, you’ll be able to see acts such as Boston’s Powerman 5000, Ozzfest favs Motograter, and local acts like Criticnue, Axia, Counter Clockwise, and 16 others. Get all the details at bandecky.com. Tickets are available at Boo Boo Records, the Clark Center, Cheap Thrills, or Boyd’s Tobacco. Daily tickets are available for $35 each. Don’t miss Austin Hartley-Leonard, who plays The Porch on Thursday, Oct. 1, and Linnaea's Café on Friday, Oct. 2. He currently lives in Los Angeles and is on a national tour in support of his debut release, Franklin Avenue, on Mother West Records. It’s near impossible not to love The Beatles, which is why it’s a sure bet the Unfinished Business “all Beatles” show at a gala benefiting the SLO Children’s Museum on Friday, Oct. 2, will be a blast. It happens under the big white tent at the Avila Beach Golf Resort, and the theme is “With A Little Help From Our Friends,” natch! Call 545-5874 for tickets ($100, includes dinner by Ian McPhee). Grammy nominated wind quintet Imani Winds hit Cal Poly’s Spanos Theatre this Friday, Oct. 2, delivering the West Coast premier of Stefon Harris’ Anatomy of a Box (A Sonic Painting in Wood, Metal, and Wind). The piece is the latest installment in the Imani Wind’s Legacy Commissioning Project. Call 756-2787 for ticket info. BOP TILL YOU DROP : Bruce Forman's Cow Bop, with Phil Salazar on fiddle, comes to the St. Benedict’s Episcopal Church on Oct. 3. 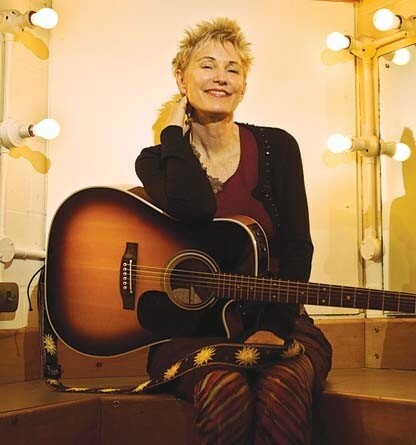 SONG BIRD : See Eliza Gilkyson on Oct. 4, at Stacked Stone Cellars, and be amazed! The last Under the Oaks Concert of the summer features the amazing singer-songwriter Eliza Gilkyson this Sunday, Oct. 4, at 3 p.m. And to top it off, guitarist Nina Gerber will also be on hand. If you’ve never seen these two performers, you’re in for a treat. Gilkyson’s songs are so good, Joan Baez just covered one on her last album. Tickets for the Stacked Stone Cellars show are $15 at the door. A hookah is that multi-tentacled smoking device, and you know what stew is, so what’s Hookahstew? It’s a trio that mixes rock, funk, and punk into its own brand of tasty ear candy, a band influenced by the likes of Fishbone, Primus, Alpha Blondy, Bungle, and Firehose. 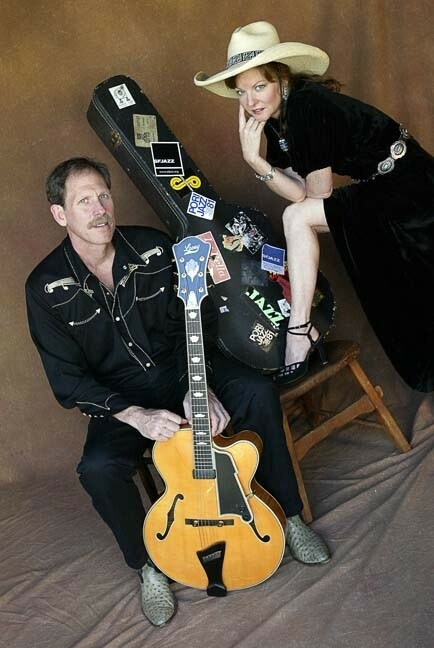 See them at Frog and Peach this Sunday Oct.4, at 10 p.m. This Tuesday, Oct. 6, it’s Pint Night at Frog and Peach. It’s also your chance to see ENSO, a band that formed in 2007 for a “one time only” gig, but they just can’t stop playing with each other. If you like TOOL, White Zombie, S.O.A.D , Rush, R.A.T.M, and other “on the heavier side” bands, you’ll dig ENSO because they cover them all. Glen Starkey thinks a Freudian slip is when you say one thing but mean your mother. Tell him about your dreams at gstarkey@newtimesslo.com. The Avett Brothers have gotten shoulder-tapped to join the big leagues. Leaving their tireless promoter Ramseur Records for the major-label calling of American Recordings, this North Carolina trio continues to expertly marry the ramshackle acoustic sweetness of The Band with the tender, pensive lyricism of Townes Van Zandt. With production assistance from grizzled vet Rick Rubin, The Avett Brothers’ sound has been tuned to perfection: a cello embedded in vocal harmonies, string sections swelling to grandiose elegance, with all the acoustics sounding hearth-warmed. But equally, their songs carry an introspective and softhearted appeal. “January Wedding” captures the adoring excitement of a fiancé’s crush: “She knows which birds are singing / and the names of the trees where they’re performing / in the morning.” The emotional gravity pull of “The Perfect Space” has the rumpled feeling of an older man in reflection. But just as quickly, they can kick in the beat and return to revved-up rock‘n’roll as on the amped-up piano pop of “Kick Drum Heart” and the hand-clap bop of “Slight Figure Of Speech.” A well-executed album from start to finish. Taking the comedic and pompous name Monsters Of Folk as their touring title, M. Ward, Bright Eye’s Conor Oberst, and My Morning Jacket’s Jim James resurrects the handle for their first collaboration album, with the additional assistance of multi-instrumentalist and producer Mike Mogis. Bringing together the various Americana-influences each has singularly propelled in their own work, MOF can initially sound randomly assorted. Bouncing about stylistically, the songs lack the tight album focus usually present in their works individually. 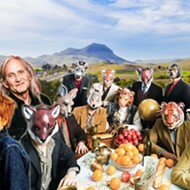 But move past this snag, and you’ll open to a great set of songs where each artist moves in and out of the others’ written vehicles, accenting refrains with their unique flourishes, and adding to an overall mellow gold aesthetic. “Temazcal” recalls Oberst’s recent Mexican recording sessions, “The Right Place” finds James emulating the country-rock of Gram Parson’s Flying Burrito Brothers, while M. Ward still explores breezy pop-romanticism on “Goodway.” Set the overarching anticipation aside and enjoy a terrific bit of teamwork.